She is professional and warm, with a strong commitment to ethical and intelligent representation. Judy is a very successful member of the Julia B. 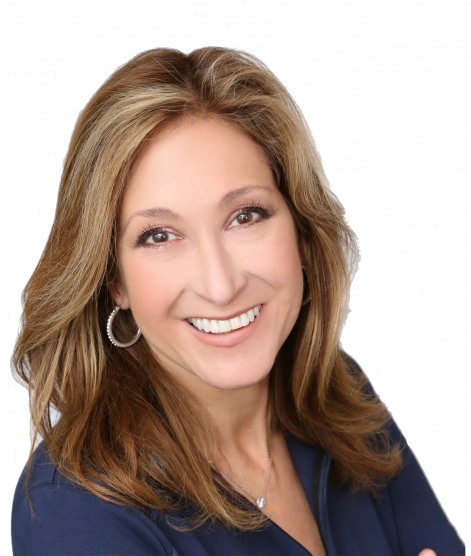 Fee Sotheby’s team and greatly enjoys the relationships she has established with her clients over the past 16 years in the real estate business. She is professional and warm, with a strong commitment to ethical and intelligent representation. A gifted communicator and listener, Judy utilizes all the latest marketing trends and avenues of social media to showcase her sellers’ properties for maximum exposure, while guiding her buyers to their dream home with her in- depth market knowledge and a tireless work ethic. As a former Wall Streeter, Judy is adept at managing the delicate process of complex negotiations and understands the perseverance necessary to bring all parties to a successful conclusion. You can count on her to hold the ship steady when the property or transaction is challenged! Judy has been voted a Five Star Real Agent for seven years; a designation for less than 4% of real estate agents in the Westchester area who provide exceptional service and overall satisfaction. A lifelong resident of Westchester County’s “Sound Shore”, Judy has educated her three children through the local public school system and she absolutely loves living in this area and all that it has to offer. Thank you for the care, time, hard work and sound advice you dedicated to our 2 Pine Island property. We were impressed by your honesty, integrity, and thorough knowledge of the market. Many thanks again to you and your wonderful team. My husband and I interviewed four agents, each one representing a different agency, before choosing Judy to list our Rye home. We certainly made the right decision. Judy listens, is calm at all times, provides judicious advice, and has a winning personality. Judy is extremely knowledgeable, conscientious, tireless, and goes above and beyond for her clients. She sold our home in Rye, NY. She is an outstanding realtor and whether buying or selling, we could not recommend her more highly! Judy recently represented us in the estate sale of a home in Rye. Despite dealing with a desirable property, Judy left nothing to chance and worked diligently with us to prepare the property for sale, including de-cluttering, advising on repairs to be made, arranging for stunning interior, exterior and aerial (drone) photographs to be taken, and preparing an impactful listing. She did extensive research on comparable sales to assist us in pricing the house, arranged and conducted a well-attended open house and also brought in-house clients to see the property. Her efforts resulted in numerous bids from qualified buyers at or above the asking price within 24 hours of the open house, and she then worked with us to analyze the bids, negotiate counteroffers and arrive at a winning bidder. She was a dedicated professional throughout the entire process, going above and beyond whenever called on. I recommend her without hesitation. Judy Croughan is very knowledgable but also thorough, thoughtful and extremely easy to deal with. I appreciated her advice and her smart and seasoned approach to the entire sale process--from preparation to pricing to showings/open house and closing. She was a consummate professional throughout--very efficient, responsive and helpful to me. I had a great experience working with her and would recommend Judy to anyone looking to sell or buy a home in Rye, NY or nearby communities.